Former Ferrari technical director James Allison acknowledged that Ferrari's new car which has excelled so far in the 2017 campaign is a credit to the team's employees and he has less influence on the wholly new project. 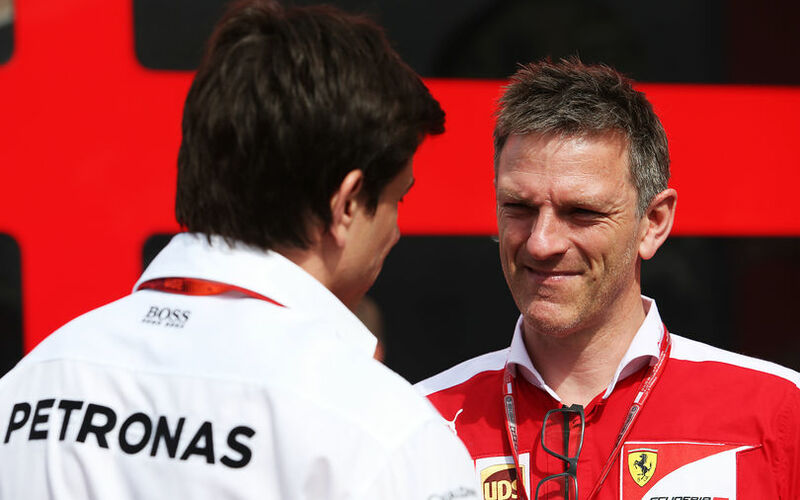 Allison started his his second endeavor at Ferrari in September 2013. He joined the fabled Italian team as Technical Director. The Briton is highly rated in the paddock, but the success did not want to arrive under his leadership at the Maranello-based squad. The effectiveness of his work was hampered by the new hybrid engine rules introduced in 2014 which brought the seemingly never-ending success of Mercedes. The relationship between Allison and Ferrari got strained last Spring when the Briton tragically lost his wife. Ferrari gave him opportunity to spend some time in his native England with his children after the sudden, tragic loss of Rebecca, but the Briton and Ferrari's senior figures clashed over the direction Ferrari should take in terms of development and the technical structure of the team. James' role was taken on by former technical figure Mattia Binotto. Many considered the promotion of Binotto as an interim solution. Ironically, Ferrari produced a highly competitive car in 2017 under the guidance of the Swiss-Italian. Many questioned the credit of Binotto in the new project and believed the success of the SF70-H is the credit to Allison. However, the Briton said that the lion's share of the word on the new car was conducted after his departure. Allison did not hesitate to make joke of the work he has done over the eight months' period he spent away from Formula One. The former Renault and Ferrari chief technician admitted Mercedes' organisation is rather complex which urges him to work very hard to accommodate himself to the new environment. “All of my effort at the moment is just focused on getting properly up to speed with a completely new group of people and a big and complicated organisation, so that I’m able to contribute as I learn more and more about that organisation. So it’s learning where I stand now, hopefully contributing as I do so to this season and looking beyond to the seasons to come,” concluded Allison.